Have you ever opened a bottle of red wine, dimmed the lights, and nestled into the couch to watch a movie—only to eventually pour that last glorious glass and wish you would’ve used a decanter or filter? Ahh, sediment… no one likes being served that last bit from the bottom of the bottle. Plus, it means the bottle is empty, and that’s just sad. 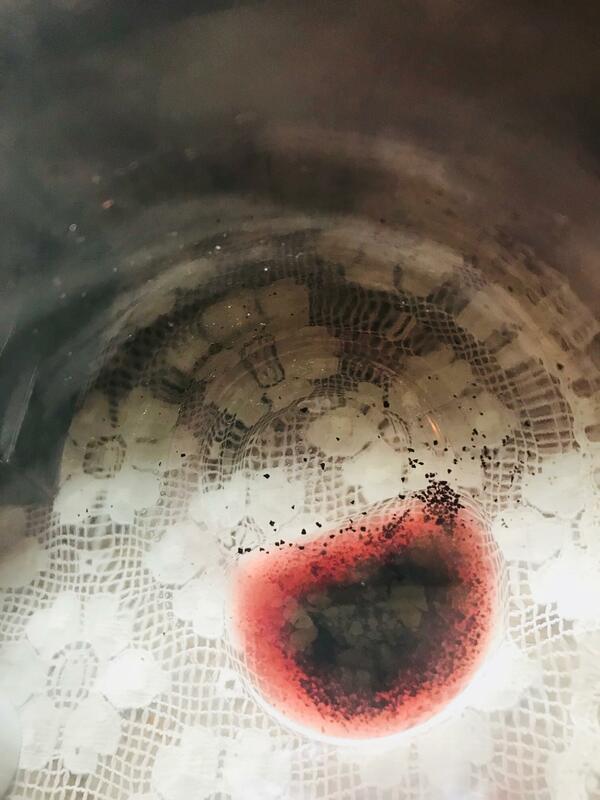 Sediment, or “dregs” are the little clumps of sand-like grit you sometimes find at the bottom of your glass. 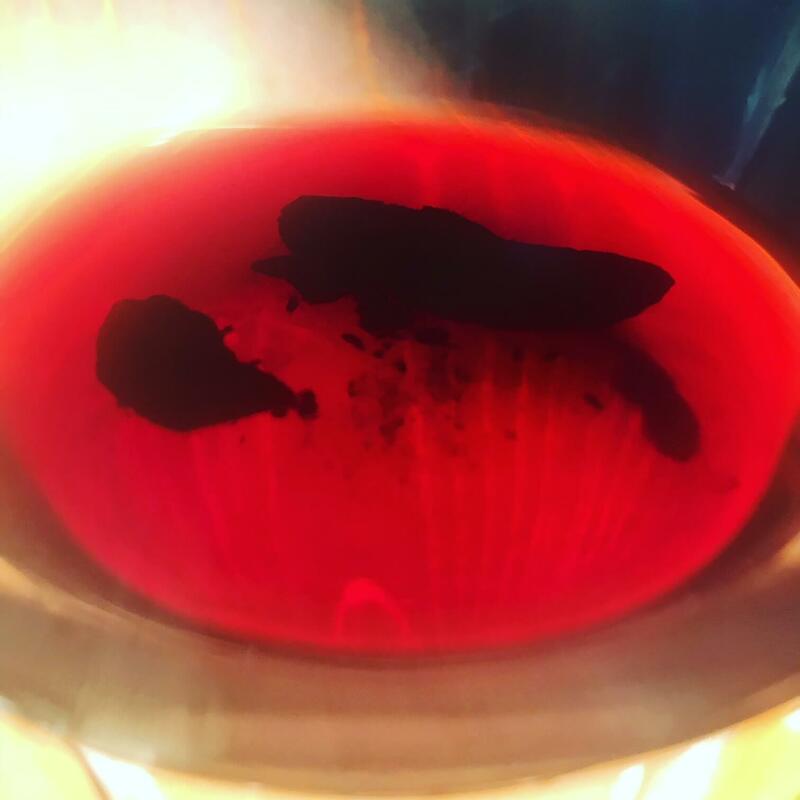 While it can be found in all styles and vintages of wine, it’s more common to see sediment in aged (10+ years) red wine. They’re simply leftover particles from the winemaking process (stems, seeds, and skin of grapes, clumped yeast cells, etc.). Sometimes it’s only a few little pieces of “grit” but other times it can be substantial solidified chunks. This was from a recent six-year-old Cabernet Franc from Uruguay. Most sediment you find won’t be quite as large or solidified. It’s all about the winery’s filtering process. Many wineries will purposely leave sediment, believing it adds to the character and style of their wine—while most wine you see, especially white and rosé, appear ultra-clear in the bottle. This is because they’ve been filtered and fined. There are several methods used for filtering, which literally filters out the bulk of the particles. With fining, it’s common for an organic substance to be used (fining agent) to bind to the particles, such as egg whites, casein, gelatin, and isinglass (from fish bladders). So, even though wine is made from fruit, most wine cannot be considered vegan. Tip: Hold you glass up to a light (even candlelight works) and tilt your glass to the side to inspect for sediment. The most important thing to know about sediment is that it’s harmless and won’t hurt you to consume it. It’s also not indicative of quality or flavor. I personally loved the bottle with the heavy sediment (above featured photo) and feel in many ways it’s a more natural, less tampered-with representation of the wine. The next time you pour a glass of wine, take a look at it first. Visually inspect it. Do you see anything floating? Is it crisp and clear, or cloudy? If you’ve opened an older bottle of red, try pouring it into a decanter over a light source. Stop pouring when you begin to see any sediment coming out toward the end of the bottle to avoid a mouth full of grit later.